The folks at True Gem in Dallas work hard to create extraordinary and unique pieces. This ring just has a way of putting its own special spin on things. 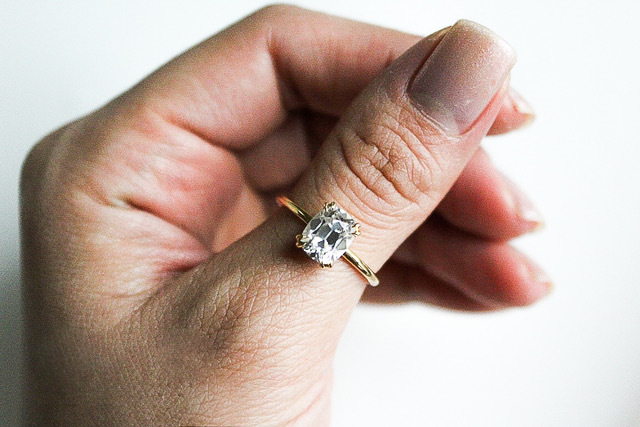 The rectangular "Old Mine" Cushion Moissanite will generate double-takes and inquiries, and guarantee that this ring will be envied. 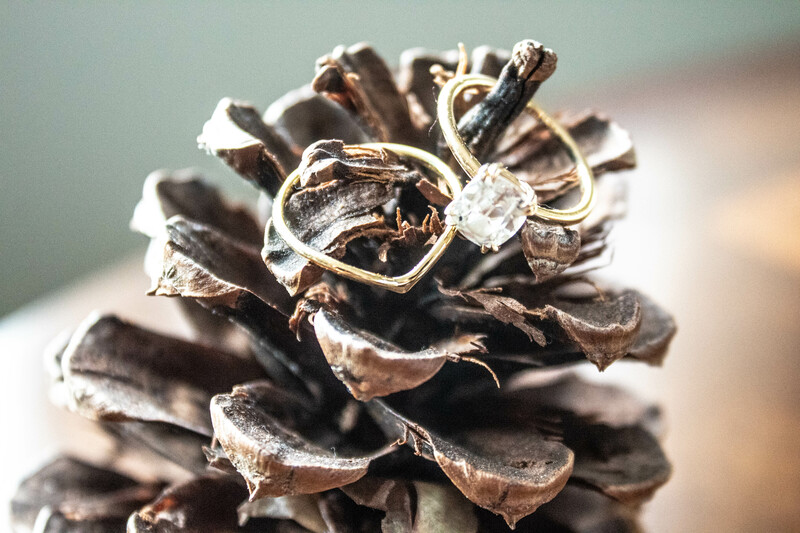 With double talon prongs, this ring is gorgeous and will remain a classic for generations to come. The Moissianite stone was first discovered in a meteor crater in Arizona. It is not a diamond, nor a fake diamond. It’s just a different, naturally occurring or lab-grown stone. And what a stone it is! Chemically, it is completely different from a diamond. However, it looks like a diamond, it feels like a diamond, and its thermal qualities are difficult to distinguish from those of a diamond. 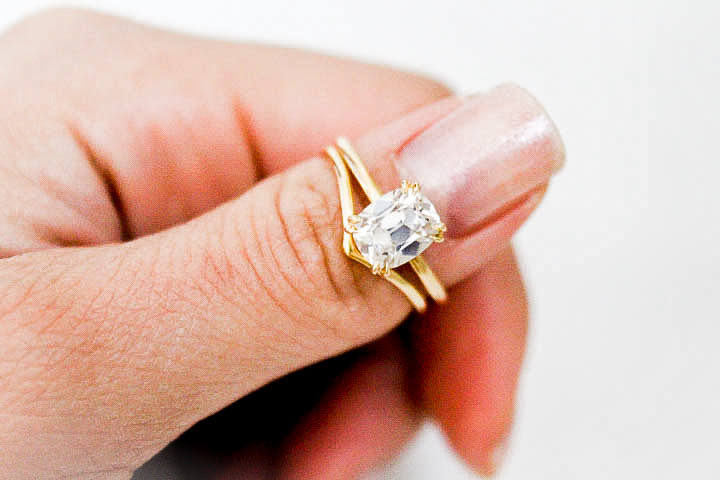 And best of all, a moissanite actually out-performs a diamond in terms of optics, and is still durable and scratch resistant enough to be worn every day and last a lifetime. This particular example was lab grown and gives the wearer a clear conscience: No earth was moved nor human disrespected in the production of this beautiful stone. 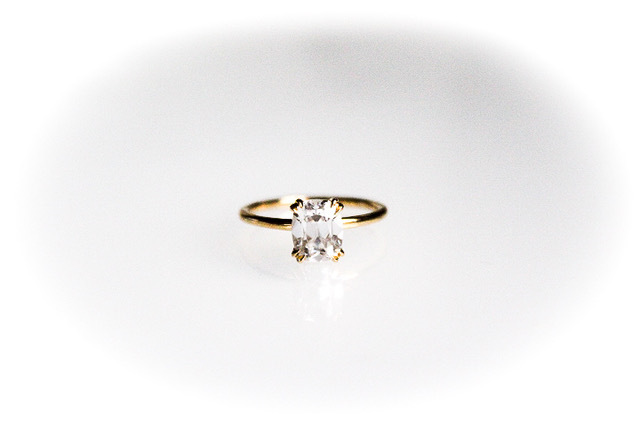 Moissanite is perfectly suited to represent your love story without being associated with any other narrative. 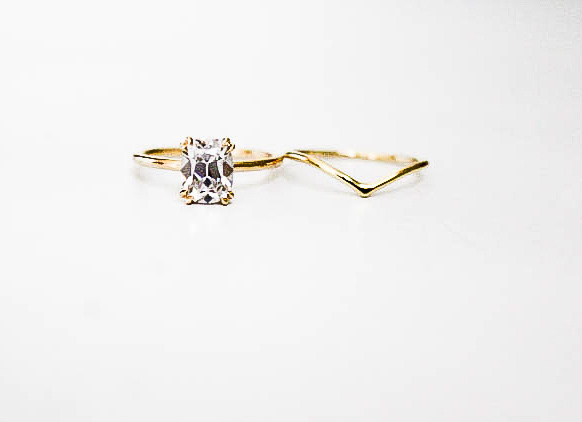 This ring is also available with matching chevron wedding band, also in 18K gold.